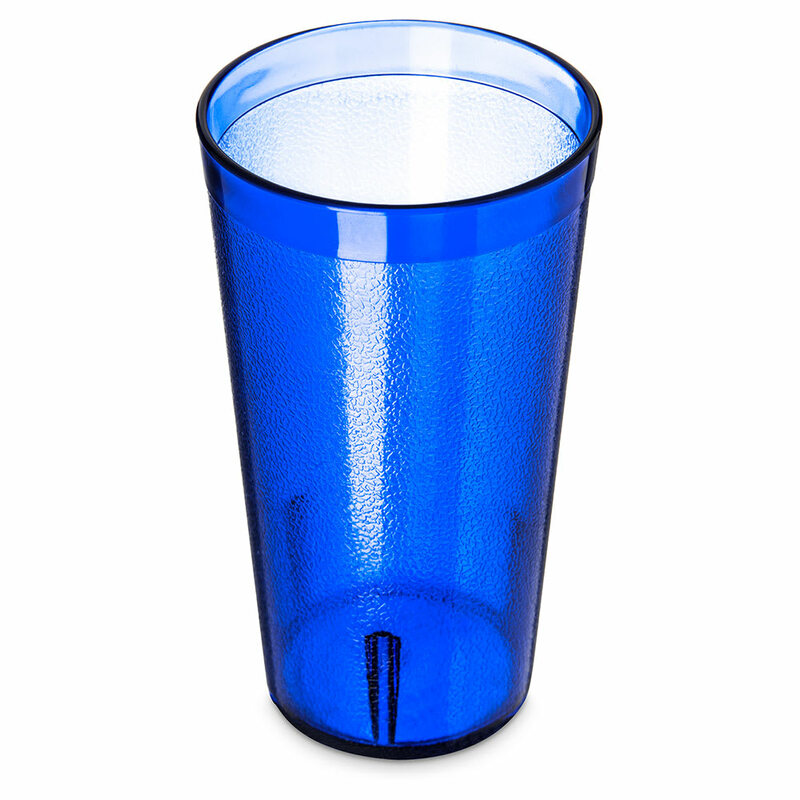 The Carlisle 521647 Stackable™ tumbler comes in blue to create a calming feel on tabletops. Constructed of SAN plastic, it is resistant to breaking, chipping, and staining, and a textured exterior hides chips and scratches while providing a secure grip. 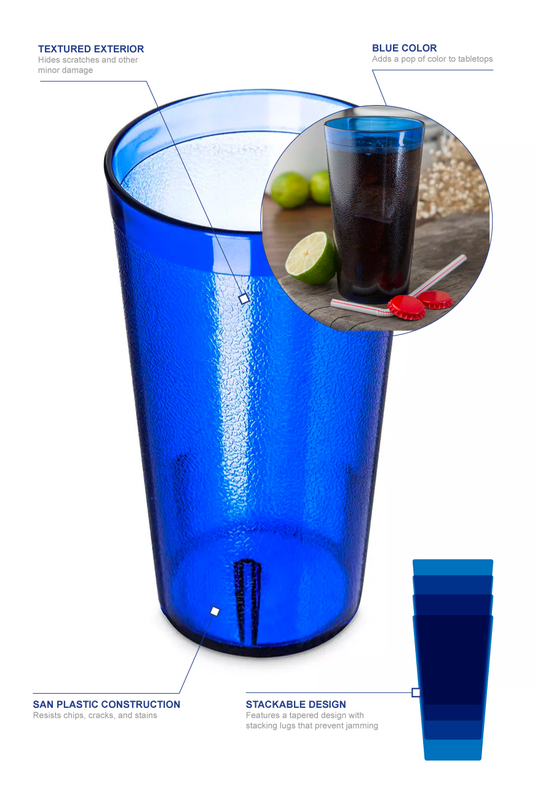 With a tapered design, the tumbler can be stacked, and interior lugs ensure stacked glasses will not stick together. Holding as much as 16 ounces, the Carlisle 521647 Stackable tumbler is ideal for soda, iced tea, and more. 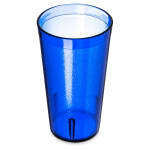 "I purchased these cups for a long term care facility. The color and quality are both excellent." "Item was perfect sturdy plastic, perfect size great color and the quantity I needed in stock! Arrived in a few days exactly as we ordered it." I am very happy with these cups .The color is Awesome. "They work and look just as described. Ordering more now!" "I got my glasses so fast I couldn't believe it myself,and there prices are the best,good place to get your restaurant supplies and faster and cheaper then getting in your car to go buy them.From Skorpios Greek Restaurant in Palm Beach, Florida"